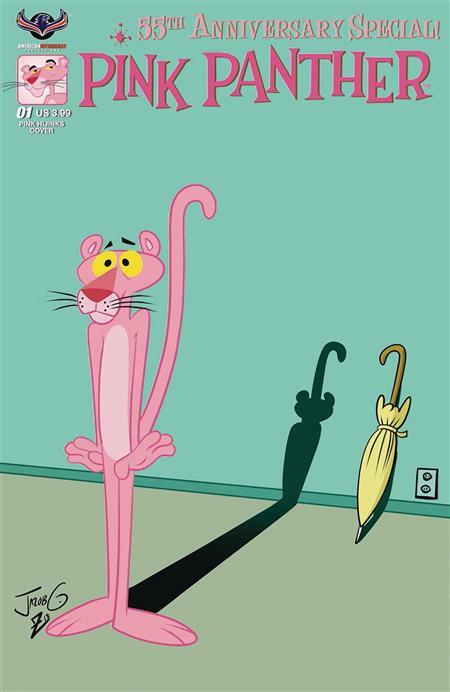 The first Pink Panther movie debuted in 1963, an amazing 55 years ago, and introduced the world to the coolest animated cat ever, the Pink Panther! Since then we've enjoyed this feisty feline's antics in movies, cartoons, and of course, comic books! Come celebrate this milestone with brand new Pink Panther adventures and hijinks as he confounds The Little Man and tickles your funny bone. The Pink Panther 55th Anniversary Special comes with three covers - Main by Jazz Dela Cuesta, Pink Hijinks by Bill Galvan, and a 55th Anniversary Retro Limited Edition Cover.